I've been a very bad blogger over the last year or so (spank... ouch), but I'm finally waking up to it again. But I have two blogs, both FangPlace and Humor Writers. I think for my own sanity I'm just going to concentrate on the Humor Writers blog for now because that's the one I'd like to grow. So please look for me at www.humorwriters.blogspot.com . I hope you follow, like and all that. I've been having a mostly one-sided letter writing exchange with my Congressman and thought I'd share my newest letter. If any of this applies to your Congressperson or Senator, feel free to copy, past and use it. I'm sure they will appreciate hearing from you! I didn't receive a response from you to my last letter, but that's okay. I know you've been busy protecting the wealthy. My understanding is that you would like to keep the Middle Class payroll tax cuts in place as long as it's paid for by raising the unemployment rate by canning 10% of the Federal workforce, most of whom are Middle Class. It would also help you in your claims that the Administration isn't helping create jobs, but I'm sure that was just unintentional, right? You're into the job creating thing by making the rich richer since they're created so many jobs over the last three years with their lower taxes. Can't upset that apple-cart, huh? Of course, it's probably too much to hope for that we could see a reduction of the number of Congressmen and Senators, or lobbyists, who outnumber Congressmen and Senators twenty to one. Or, even better, how about saving money by introducing a bill that takes away life-time pensions and insurance for congressmen and senators? Yeah, I know, that's a pipe dream of mine. I wish we all could vote ourselves pay raises like you. Anyway, I think you should consider checking with your constituency and making sure you are truly representing our interests in this whole payroll tax thing. I think both Republicans and Democrats support not raising everyone's taxes by $1000-1500. The difference seems to be in how to fund it. b) cutting 10% of the Federal employee workforce and freezing the income on the remaining workers. On a related note, I've created a Kinzinger position page that I would like to run by you for accuracy sake before I start helping you spread your word to my friends and neighbors. Please have a flunky, er, assistant or someone respond and let me know if any of your positions have been misrepresented. You may appreciate the form of the questions which closely mirrors the style and technique of some political polls I've received in the past. Please keep to the yes/no answer format. Today I want to talk about a cool way to read stuff... for cheap...or better, for free. It's called Smashwords. If you're a author, I probably don't need to tell you about Smashwords. But if you aren't, but like to read, you've may have never heard of it. Smashwords is a website authors use to put their ebooks onto Kindle, Nook, Sony, Ipad, etc. But the cool thing for someone who likes to read, it's a great source for free or cheap reads. Admittedly, some of the stuff on Smashwords is pretty bad. But I could say the same for Kindle or any book by James Patterson. But Smashwords has something Kindle and Nook doesn't. Multi-functional reader files. download a Kindle file (once you download to your computer, just hook up your Kindle to your computer and drag the file into your Kindle). In other words, it's all there, no matter how you want to read it (well, except a bound book - sorry). So now that I've clued you into Smashwords, here's the cool thing. 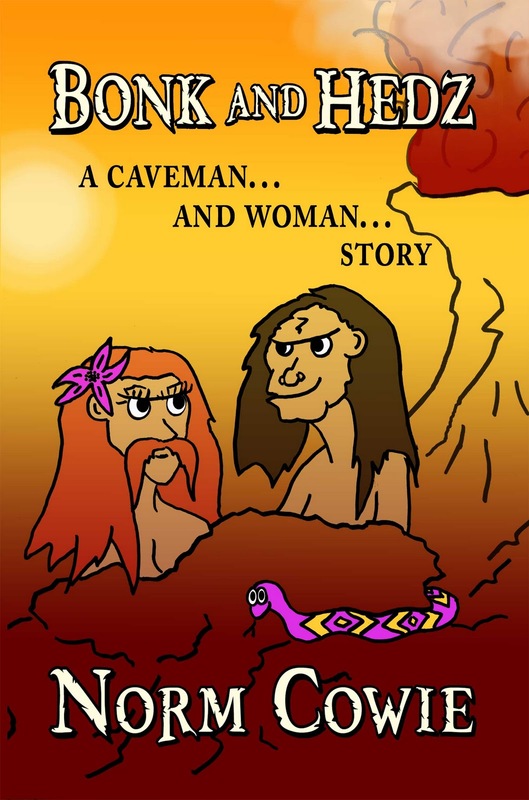 Right now, I have four free short stories on Smashwords, Bonkers (caveman humor), Were (a tick gets infected by a werewolf, Mooned (two pets witness their owner transform to a werewolf) and The Really Hot Adventures of Guy (previously in the Heat of the Moment anthology). 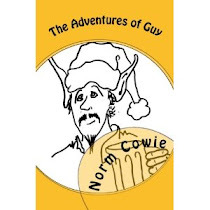 In addition, my first book, The Adventures of Guy, is available absolutely free. If you like to read, you really should explore Smashwords. I suggest you start off by reading Bonkers. Last thing. If you enjoy something you read on line, do the author a favor and rate the product. It helps. It's time for a political blog! As many of you know, I write humor books, including some with a political emphasis (see Bonk & Hedz, my newest one), and I'm not seeing the humor right now in 9% unemployment, stagnated government, lies by corporate paid media, and government representing money instead of citizenry. I fully believe both parties are at fault, but one in particular is particularly obstructionist. I wrote to my Congressman, who is one of these obstructionists. You might enjoy his response, and my response to his response. I don't know if he will respond to my second letter, although I am hopeful. It's pretty fun, and pretty much says what's going on out there right now. I hope you’re enjoying your vacation. I live in your district and at least in theory you are my representative to the United States Congress. I was looking through your website, and I see nothing about what you personally have done to facilitate the growth of jobs. I see you took great credit for the repeal of the 1099 bill, which as a financial executive of a 30 million dollar company I strongly applauded, but I have to question the alleged savings because these 1099 rules never went into effect. So how could this have any impact on federal spending or cutting taxes? On future spending, yes, it would have had an affect, but it didn’t affect current spending, so it’s not a reduction at all. Fuzzy math. The thing notably absent in your website was your plan on creating jobs. I see you wagging a finger at the President for his plan, but where’s yours? You’ve been in this job for nearly two years, in a staggering economy, and what have you done to improve it? Getting rid of regulations? That won’t do it, and as far as the regulations that supposedly restrict business, see the attached* which shows the importance of regulating people who would deliberately injure people for a buck. And you can’t lower taxes on companies like GE, because, well, they didn’t pay any. Same for the others who moved jobs out of the country. And don’t get me started on subsidies to oil. Due to your absolute lack of effort on the subject, at least get on the President’s plan which is an effort to improve things for the middle class, rather than simply sitting on the sidelines poking holes in any efforts to move us out of this mess. I watched the debates the other night, which showed the Republicans are simply out of touch with the middle class right now, witness Gov. Romney’s great plan for saving the middle class by reducing taxes on interest income, dividend income and capital gains. Is he kidding? Interest income? Dividend income? Capital gains? The middle class doesn’t have these things. All we want is a job, a decent salary to spend on products (which would spur the economy way more than cutting corporate taxes), a retirement with enough money to get by and our health. All things being viciously fought by special corporate interests who fund their pet politicians. As to the health bill you would like so much to repeal, one of my daughters is working for barely minimum wage and going half time college. Because of the bill, she doesn’t have to spend $200+ a month for health insurance, which otherwise she could not afford. And you want to take that away? Shame, sir. She can’t afford your politics. The bottom line, please jump on board the jobs program, or I will do my best to actively make sure a true representative of the middle class replaces you next time you run for office. Thank you for taking the time to contact me to share your views regarding our nation’s urgent need for job growth and creation. By hearing your thoughts and concerns on the issues, I am better able to represent you in Congress. Right now, Washington, D.C. is the greatest barrier in the way of private sector job growth. Uncertainty and unpredictability due to the threat of higher taxes, more debt, and excessive regulation keep businesses from hiring. In order to grow our economy, we need to empower businesses, America’s real job creators. I have supported and the House of Representatives has passed numerous bills to reduce burdens on American businesses. H.R. 872, the Reducing Regulatory Burdens Act, eliminates costly and redundant Environmental Protection Agency (EPA) requirements on farmers. H.R. 910, the Energy Prevention Tax Act, prevents the EPA from imposing back-door energy taxes that were voted down by Congress. H.R. 2587, the Protecting Jobs from Government Interference Act, prohibits the federal government from telling a company, such as Boeing, where it can and cannot create U.S. jobs. The Senate needs to take action on these and many other bills. They are just the first step to creating sustained and meaningful job growth in America. On September 8, 2011, President Obama proposed a jobs plan to Congress that uses the same failed policies that have prolonged our nation’s economic turmoil. In 2009, the President claimed that his nearly $1 trillion stimulus package would keep unemployment below 8%. After 31 months, unemployment remains above 9% and economic growth has been minimal. The simple truth is we cannot spend and tax ourselves to prosperity. Instead of another flawed stimulus bill, which includes an estimated $467 billion dollars in permanent tax increases, America needs a comprehensive economic strategy that will support sustained economic growth for years to come. There are elements of the President’s proposal on which we can find common ground and which should be implemented immediately. I agree that the first thing we must do its reform our corporate tax structure. American corporations face some of the highest tax rates in the world, ranging from 15 to 35 percent, and must navigate a complicated system of tax deductions and credits. Small businesses, the greatest source of new job creation, often end up paying an unfair share of corporate taxes, because large corporations have the resources and loopholes to avoid them. In this global economy, we need a competitive corporate tax rate the incentivizes businesses to keep their profits and jobs in America. I also believe we need to pass the three pending trade agreements with Columbia, Panama, and South Korea. The National Association of Manufacturers reports that manufactured exports support 25 percent of Illinois’s manufacturing jobs with 90 percent of Illinois’s exporters being small businesses. These free trade agreements will create more jobs in Illinois and the country, yet they have been sitting on the President’s desk. The President needs to stop stalling American job growth and send these free trade agreements to Congress. America cannot afford more of the failed economic policies of the past. We need to get Washington out of the way so small businesses are empowered to grow and create jobs. Restoring our economic prosperity is not something that can be done from Washington and with the government in the way. It’s going to come from the Main Streets of our cities and towns, and created by our nation’s greatest resource: Her people. Please be assured that as Congress works to reduce our deficit and restore confidence in American businesses, I will keep your views in mind. Again, thank you for contacting me. It is an honor to represent you in the U.S. House of Representatives. Please do not hesitate to contact me if my office can be of assistance to you on any issue of importance. P.S. For more information about my work in Congress, please visit www.kinzinger.house.gov and feel free to sign up to receive updates through my email newsletters. I was pleasantly surprised to receive a response to my letter. While I have your ear, I’ll say I wholehearted agree with you that we need to avoid the ‘...failed economic policies of the past.’ I also agree with you that large corporations avoid the bulk of taxes. But the rest of your points demonstrate that politicians (and ex-heroes - congrats on that, by the way) live in a different world than the Middle Class. As I alluded to in my letter, I’m a financial executive with a multi-million dollar company, and I will tell you absolutely that fair regulations don’t burden us. What does burden us is when financial companies take bailouts and then refuse to put the money back into the economy. Why is no one being prosecuted for this? Likewise, taxes aren’t the issue either. If business would pick up, we could hire more employees, make more margin, and taxes wouldn’t deter that. Create more jobs and local governments wouldn’t have to frantically scramble for cash. Besides being a business financial executive, I write an award-winning regular business column which was nationally recognized by the National Association of Credit Management. I give speeches and seminars. I was NACM-Midwest’s Credit Executive of the Year. For more than a decade, my bio was in Who’s Who in America, Who’s Who in Finance and Industry and others. In other words, I have some idea of business. I was always a Republican, but the party has deserted me, pushing me to the middle. The first President I ever voted for was Gerald Ford. I was an avid supporter of George Bush Sr. when he ran against Ronald Reagan in the primaries before Reagan became President. With more than a passing interest in economics, I agreed wholeheartedly with Bush when he called Reagan’s economic ideas ‘Voo-doo economics.’ I realize Reagan was a hero to you, but how can you ignore the fact that his tax cuts raised our National debt 50% in his first term and another 40% in his second? And history has shown that ‘trickle-down’ economics is a fallacy. In fact, historically, the National Debt goes up during Republican terms and down in Democratic (with the exception of the current Democratic President paying the bills of the former tenant of the White House). I don’t know how the National Debt became the rallying call of the party that has done most to raise it, including deregulating Wall Street to the point they crashed our economy. I like to evaluate both parties from the middle, and your ideas don’t work. On your website you lambasted the other party for ‘shut down politics?” Wasn’t that pretty hypocritical? And in your letter, you alluded to unemployment. Great point. More than a half million public employees have been laid off by Right-wing Governors on some kind of crusade to advance their own agendas including selling off public assets to benefit their backers. How is that ‘job creation’? Take these out, and unemployment is under 9%. Raising personal taxes on the wealthy will go a long way to restoring our country. This will not hurt the economy, because these ‘job creators’ will then put more money into their businesses instead of into their pockets. The true job creators are the middle class. If they have more money in their pockets, they will pump it into the economy instead of a vacation home in Italy. So we need the jobs bill, and our representatives in Washington have to stop playing politics. If you want to really show your support for the people, how about introducing a bill that takes away life-time pensions and insurance for congressmen and senators? Or introduce one penalizing corporations for sending jobs overseas? Or push the Attorney General to arrest the Wall Street crooks? And stop fighting health care! As a post-script to my letter sent a few moments ago, as you are undoubtedly aware, sixteen of the wealthiest French citizens signed a petition asking their government to impose a special tax on them to reduce their deficit. The government responded introducing such a bill that will affect these French patriots. Where are the American patriots? Repeatedly, secretly, deliberately, and over a twenty year period. The poison: vinyl chloride, a colorless organic gas known to cause cancer and which is unsafe at any level. Chester Stranczek was a small town mayor... wait, I'll call him Chester, no, Chet, because though I never met the man personally, I might as well be on a first name basis with him because he personally affected my health with his slimy little plot. Here's the story. Crestwood Illinois is a small village near Chicago. A staunch Republican, Chet became its mayor in 1969 promising low taxes, continuously posting personal, hokey political messages for the town to read on a changeable sign in front of the hall. Any money saved on spending would be refunded to the townspeople, in person, by a grinning mayor who shook their hands as they came to pick up their money. Seriously, they had to pick it up personally from the mayor in a fantastic public relations ploy. And they loved it, and him - at least the seniors did. The village and seniors thrived, though his penny pinching ways doomed the village's children to small, barely sustained libraries, schools and play areas. But that didn't matter to Chet, because kids can't vote and don't pay taxes. Read this article someone wrote gushing about Chet. Then read on. Yep, people loved their Republican mayor, and no one bothered to run against him at re-election time. And Chet continued to take care of the elderly with a miserly nod to the young of the town. Anyway, Chet discovered a great new way to save money. The water the village was bringing in from Lake Michigan was a bit pricy, so why not supplement the water with water from an old well that had been closed down by the EPA due to its unsafe drinking water? Who'd notice, huh? The well had been contaminated by vinyl chloride leached into its system from an old dry-cleaning operation. I mean, sure, the water wasn't safe, but it was free. And if they noticed, so what, they were saving money, right? So Chet started feeding this contaminated water into Crestwood's drinking water, saving the citizens hundreds of dollars in water bills. And no, he didn't tell anyone, and they trusted him, because after all, he was Chester, their wonderful mayor. This went on for twenty years. People started getting sick. Bad stuff. Cancers, leukemia, nasty stuff. And as the numbers of people with cancer starting reaching alarming levels, the EPA took notice, investigated, and discovered Chet's little plot. Of course, by the time they discovered this, Chet had already gone off to Florida to enjoy his retirement, having handled the reins to his son who was mayor now. So the son was run out of town, the well closed and sealed and Chet's off drinking pina coladas in Florida while I, who drank eighty cups of Crestwood contaminated coffee every day, examine my bald spot to try and determine if my hair loss is genetic or something that vinyl chloride had a hand in. See, the moral of this story is we need the Environmental Protection Agency. I know a certain party is doing its best to convince people we don't need 'Big Government,' but for me, I need to know there's someone out there watching over the Chets of the world. The ones who will knowingly poison someone for a buck. I don't trust corporations to take care of their own emissions. I believe the polar bears are swimming where there used to be ice. I don't trust Big Oil to drill responsibly in a a manner that won't wipe out wildlife. I don't trust politicians who take money and then vote the way they are paid. I want regulators watching Wall Street. See what happened to our economy when regulations were relaxed? We crashed. They're trying to put their greedy little paws into our retirement income now. They aren't trying to save us anything, they just want to siphon billions in fees and administrative costs off the top. In the meantime, I'll keep checking out my stool samples for signs of blood. Oh, and Chet? Enjoy your retirement, you SOB. Here's the thing... my favorite series ... of all ... is Jim Butcher's Dresden Files. Yes, he beats out Hitchhiker's Guide... and Lee Child's Reacher novels, Evanovich's Plum wackiness. Anyway, the problem with Dresden is Butcher can't crank them out as fast as I can read them. So what to do between Dresden books? Well, there's Child, Evanovich, Adams and all of them, but still, I start going into Dresden withdrawal. And then I discovered Kevin Hearne's Iron Druid Chronicles. Stop, I know what you're going to say. "iron druid," yeah, pretty bad. Some people might be bugged that they are too similar, but it works for me. They are just awesome. Get all three: Hexed, Hounded, Hammered, and whatever future book he writes! Hah, I just saw this in my 'currently reading' file at Goodreads, though I finished it months ago. So here's a belated rating (based entirely on faulty, balky, demented memory). Here's the thing. I loved all of Lisa Lutz's Spellman books, which were as fun and wacky as anything Evanovich put out (I recommend both authors whole-heartedly and even whole-kidneyly). The story was a bit lackluster, with chunks of 'why did they say that?' (mostly from him)... but that said, I really, really recommend this book. And here's why. Capitalizing on their 'ex' status, they alternated writing chapters, never telling the other where they were going, what they intended, and at the end of each chapter as they lobbed the WIP at the other, they would defy, demand, reparte, accost and insult the other to do a better job, or stop killing off their favorite not-yet-developed characters. In other words, the emails back and forth at the end of each chapter were a hoot, and made the book not just worthwhile, but fun (two of the stars on my rating are entirely accountable to this). So if you're looking for a great book, don't get this one. But if you like insults and snark, get it. I sent the following to my Congressman (with little hope of getting a response). Included with the letter was my previous post on how the mayor of a town knowingly poisoned me - and everyone else in town - by deliberately feeding vinyl chloride-infected water into the water supply. I hope you’re enjoying your vacation. I live in your district, and at least in theory you are my representative to the United States Congress. I was looking through your website, and I see nothing about what you personally have done to facilitate the growth of jobs. The thing notably absent in your website was your plan on creating jobs. I see you wagging a finger at the President for his plan, but where’s yours? You’ve been in this job for nearly two years, in a staggering economy, and what have you done to improve it? Getting rid of regulations? That won’t do it, and as far as the regulations that supposedly restrict business, see the attached which shows the importance of regulating people who would deliberately injure people for a buck. And you can’t lower taxes on companies like GE, because, well, they didn’t pay any. Same for the others who moved jobs out of the country. And don’t get me started on subsidies to oil. My first Young Adult book! Note: This link will take you right to Amazon Have a nice trip. Say 'hi' to the piranha. What's the worst thing about being a vampire? TORN FROM NORMAL, the official trailer! My Wildest Dreams aren't over--just moving! Don't Touch the Cotton Candy!